Good evening Hurricanes family, it is with tremendous sadness that I inform you that we have lost a beloved Hurricanes family member. 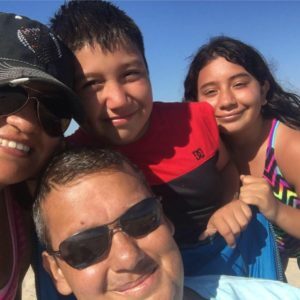 Mr. Gonzalez was battling cancer for a few years and unfortunately after a valiant fight, our Lord needed him more than we did. 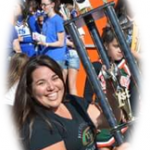 Mr. Gonzalez leaves behind a beautiful wife, son and daughter who will carry on his legacy. His love for his family was immeasurable and we pray it will help them through this very tough time. We would like to help the Gonzalez family in this very difficult time and have established a donation box at the snack bar which the Hurricanes chapter will match up to $300. In addition, we will donate all proceeds from this week’s snack bar to help this beautiful family in their time of need. Please come to the snack bar and show your support and remember any donation helps and will be appreciated. 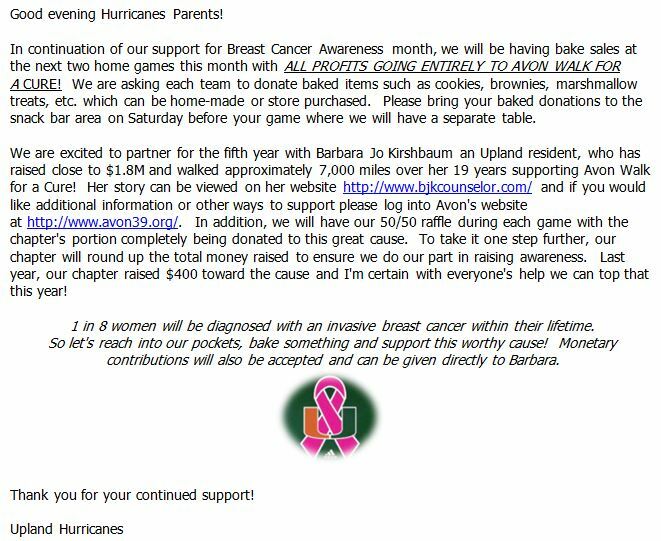 Thanks to all our Upland Hurricanes families we raised and donated $800 to Avon Walk for a Cure! Every cent from our two October home games related to our bake sales, 50/50 and shout outs were donated to help in the fight for a cure! Not many other youth football and cheer organizations can say that they’ve donated to such a worthy cause, let alone 5 years in a row as we have. In those 5 years we’ve raised and donated over $2,500 to this worthwhile cause that is bigger than football and cheer. Thank you for helping support something larger that affects so many of our families, friends and loved ones. We couldn’t be more proud of our chapter! Today we are reminded how precious life is and how it can change in an instant. Our Upland community lost a fine young man, Isaiah Shelton-Dobine just 11 years old. Isaiah was in an unfortunate accident that took his life as he walked to Cabrillo Elementary School this morning. Please take a moment and send prayers to Isaiah and his family. Our condolences to his family and may they find the strength to get through this terrible time. Coaches, please take a moment before practice to speak to your teams and encourage discussion as I’m aware some our kids previously played football with this young man. In addition, please offer a moment of silence in this little angel’s honor. 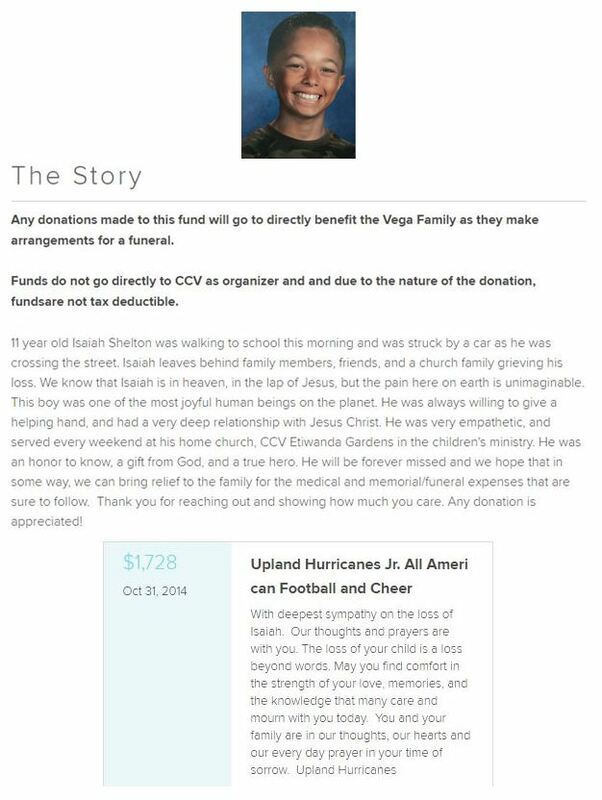 Our Upland Hurricanes family would like to support Isaiah and his family by raising funds to assist in anything the family may need. Tausha Uiagalelei and the Jr. Pee Wee team will lead a recyclable campaign that all our chapter can participate in with all proceeds benefiting Isaiah’s family. 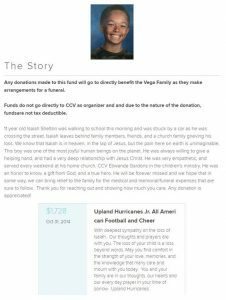 In addition, the Upland Hurricanes chapter will match dollar for dollar any monetary contributions made to Isaiah and his family. We will take all contributions at the snack bar beginning today through next week in a separate box/envelope which we will cross verify daily. If you are unable to assist monetarily, we urge you to assist in anyway possible such as taking food to the family as they try and cope with their loss. If anyone else has ideas on how we could assist please share them with your team ADs or Board. 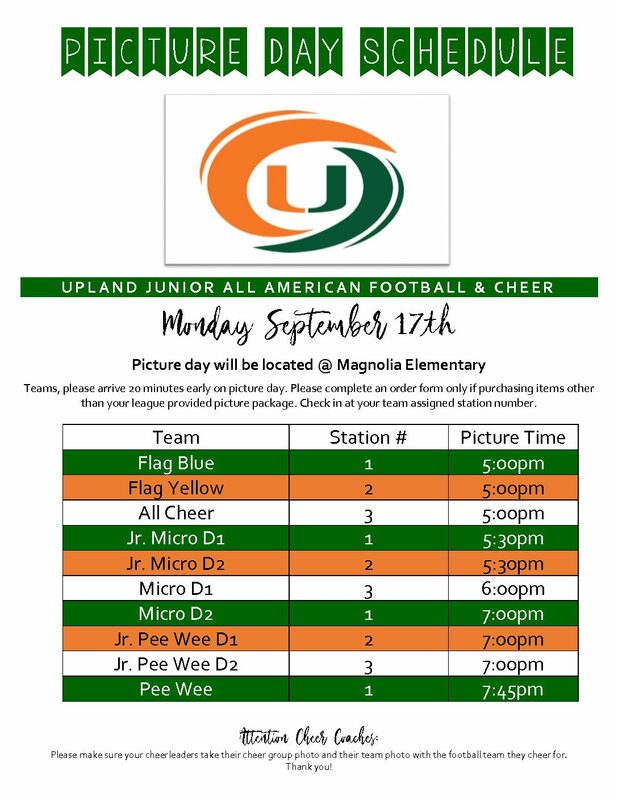 In tough times like these, it’s up to our Upland community to rise and offer our full support to help this family through this tough time.